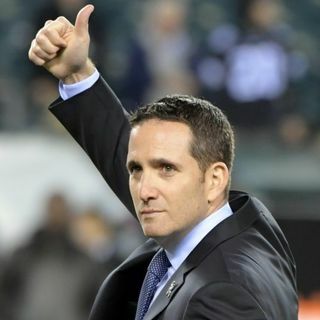 Howie Roseman has been busy this week - not only did the Philadelphia Eagles get under the camp, but they added a few key pieces in the process. On this edition of The Broad Street Line, we'll discuss the Birds moves and dive head first into the NCAA Tournament. Old School gonna be "Uh oh..."
And WWE once again messed up by naming the women's battle royale after the horrible Moolah. Wrestlemania looks trash to me. Could make the argument that Kris Jenkins' shot started this new run of Philly sports success. Oklahoma and Arizona State being in is a damn travesty.